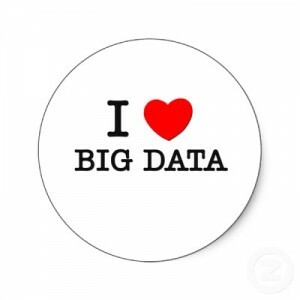 In many ways, “Big Data” and HR are a natural fit. Human Resources already “owns” much of an enterprise’s most valuable internal data — its human capital information. HR departments have long invested in software and systems devoted entirely to capturing, reporting and securely storing its people data. HR also spent the better part of the past decade investing in solutions to manage human capital more effectively. According to Gartner, global spending on talent management software rose to $3.8 billion in 2011, a 15 percent increase over 2010. If you look at all of these investments in context, you can actually see HR’s gradual movement toward Big Data-style analytics. Step 1: The Use of Anecdotal Evidence — Before HR information management systems and similar tools were widely available, HR departments were forced to make human capital and hiring decisions based on past experiences, opinions and hunches. Step 2: Use of Internal Data — As cost-effective computing and data gathering tools became available, HR then began conducting simple “data dumps” and counts to bolster their decisions. Step 4: The Application of Descriptive Analytics — The next shift HR made was toward actual data analysis— looking at information (such as attrition rates) and analyzing past events for useful insights on how to make future sourcing and hiring decisions. Step 5: The Application of Predictive Analytics — Finally, HR uses Big Data to determine probable future outcomes of human capital decisions, which represents a significant leap in terms of extracting value from data. Big Data offers HR the opportunity to take its evidence-based decision making to an entirely new level by factoring in an unprecedented amount of data from a wide array of sources, some of which might never have been considered previously. Big Data will enable HR to test theories, proactively solve problems and conduct more complex predictive analytics related to sourcing and hiring strategies. The real value of Big Data is that it gives HR the ability to capitalize on more powerful technologies and an exponentially greater amount of data to make more accurate evidence-based decisions and then take faster action on those decisions. This creates significant competitive advantages — not only in the “War for Talent,” but also in the organization’s ability to execute its business strategies more effectively. Employers hire for a reason: they have an immediate need for talent that is critical to the execution of their business objectives. Uniformed sourcing and hiring practices lead inevitably to hiring delays and poor candidate selection, and this results in delays to the achievement of business objectives. One of the applications of Big Data to the HR function lies within the realm of talent acquisition. Big Data’s potential for improving talent acquisition was compellingly illustrated in a recent Wall Street Journal article titled, Meet the New Boss: Big Data. The article highlighted the fact that Xerox slashed its call center attrition rate by roughly one half after it began using Big Data to assess job applications. While the company once hired people based on their job experience, new data evidence informed Xerox that experience didn’t matter in hiring a good call center worker (in this case, one who would remain employed long enough for Xerox to recover its new hire training investment). Instead, the evidence highlighted that personality was more relevant than experience. After a trial period proved the data to be correct, Xerox began hiring all of its call center employees based on this evidence-based recommendation. Of course, finding the right sources for talent is just as important as finding the right types of talent, and Big Data can be invaluable in this capacity. Big Data can be leveraged to identify both which sources will be most effective and what the expected volume of candidate flow will be. A forecast for the optimal sources and the anticipated candidate flow can now be made with greater accuracy and precision than previously possible. The competitive advantage of knowing in advance which sources will produce the best results is clear. Big Data analysis surely seems a daunting task when it comes to hiring professionals who may feel like they’re now being asked to take on the additional role of data scientist. However, business and nature both abhor a vacuum, and several providers have arisen to fill the void and do the heavy Big Data lifting for HR. For example, Big Data analysis can give organizations highly accurate predictions on which job boards will provide the best candidate audience — by function, department, skill set, location, etc. Such partnerships are a natural and easy entrée into the world of Big Data, as they deliver competitive insights immediately without the need for the investment of time, money or infrastructure that in-house Big Data shop requires. That’s not to say that Big Data is an either/or proposition. Organizations who don’t have the infrastructure and staff in place to analyze their own data can easily partner with a vendor to provide it for them. Leveraging a vendor’s database with the company’s own database can be an eye opening experience. It also provides a sooner-than later approach as they develop stronger in-house capabilities. The point is that contracting with a Big Data Analysis as a service provider is a first step in the right direction — a low-risk and cost-effective way to reap real-time benefits right away. Big Data is here to stay. Its applications are boundless. The good news is that HR doesn’t have to wait three years to amass the proper infrastructure and data staff. The Big Data vendor can provide the bridge from now till then. The immediate upside is immeasurable. David Bernstein is the head of eQuest’s new Big Data for HR/Predictive Analytics Division, which enables organizations to make evidence-based decisions about their recruiting and hiring strategy. He writes and speaks regularly on how data analytics can predict future behavioral patterns of candidates and create a competitive advantage in candidate sourcing.